Posted on October 22, 2015. With costs rising for heating, it's increasingly important to pick the best windows to insulate your home. You may think that getting energy efficient windowsmeans sacrificing appearance for ugly function.However, if you compare the advantages of fiberglass vs vinyl windows in Portland, you'll find that with windows you can in fact get the best of both worlds. Vinyl window frames are often touted, but have manyshortcomings. In addition to its cheap appearance, vinylis likely to warp over time, causing leaking and foggy windows, as well as unattractive sagging and gaps.It can't be painted, so vinyl windows only come in a limited number of colors that may not complement your house.Moreover those hues are likely to fade when exposed to sun and weather. But vinyl windows have been the default for so long that many people are unaware there are better options available. 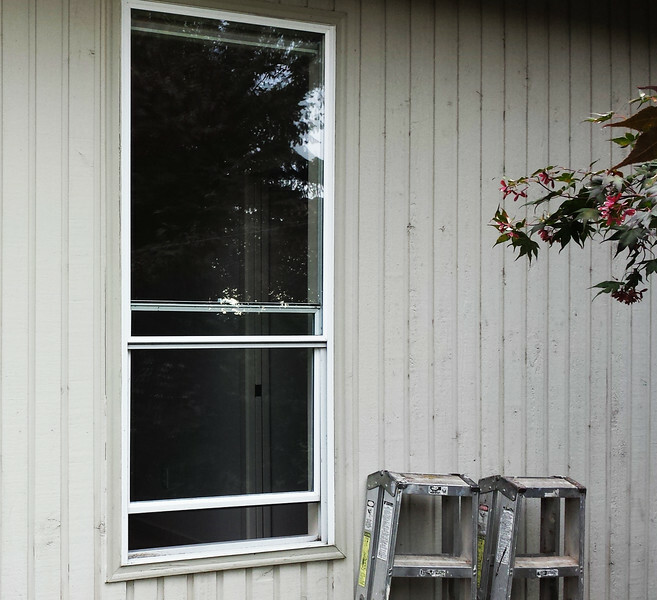 Anyone replacing their windows should considerfiberglass vs vinyl windows in Portland. Fiberglass is not only durable and sturdy - eight times as strong as vinyl, equal to carbon steel - but it can have much crisper, cleaner lines and corners than molded vinyl. A well-made fiberglasswindow frame looks almost indistinguishable from a classic wooden frame, while providing the energy cost savings and easy maintenance of a man-made material.A good acrylic finishing treatment will keep its color and be scratch-resistant, or if you prefer it can be painted to match your house. Not only that, but fiberglass's strength means the window frames can be trimmer and narrower, allowing for wonderfully wide glass panes. If you've been wanting to make your home more energy efficient but have been hesitant about downgrading your house's appearance with vinyl windows, look into fiberglass vs vinyl windows in Portland. With fiberglass you can bring your heating costs down, and still have beautiful windows that enhance the look of your home.